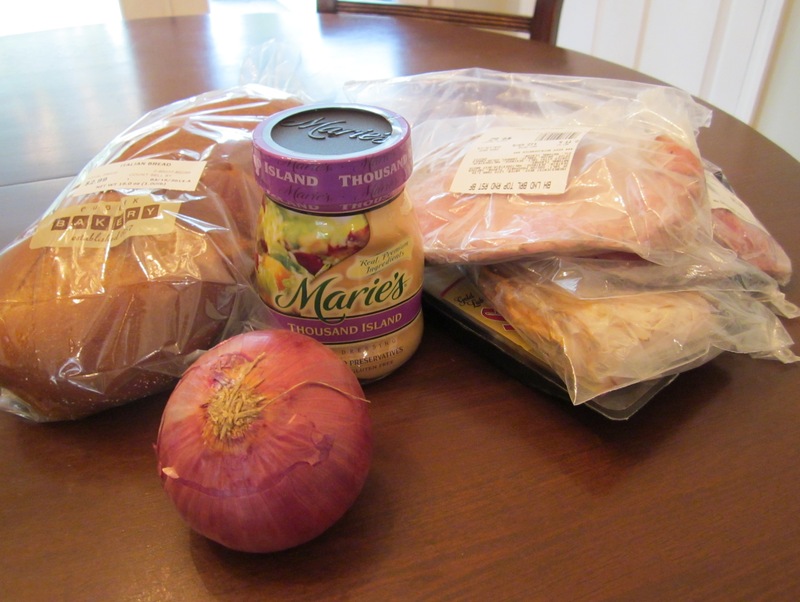 TheRoomMomMom used to make something called The Posh Nosh Sandwich; I always referred to it as The Big Sandwich. My mom would serve it when we had friends over to swim, and everyone was starving. My mom would make it for a tailgate event and warm bricks in the oven and wrap the sandwich in foil with the warmed bricks underneath until it was time to serve. 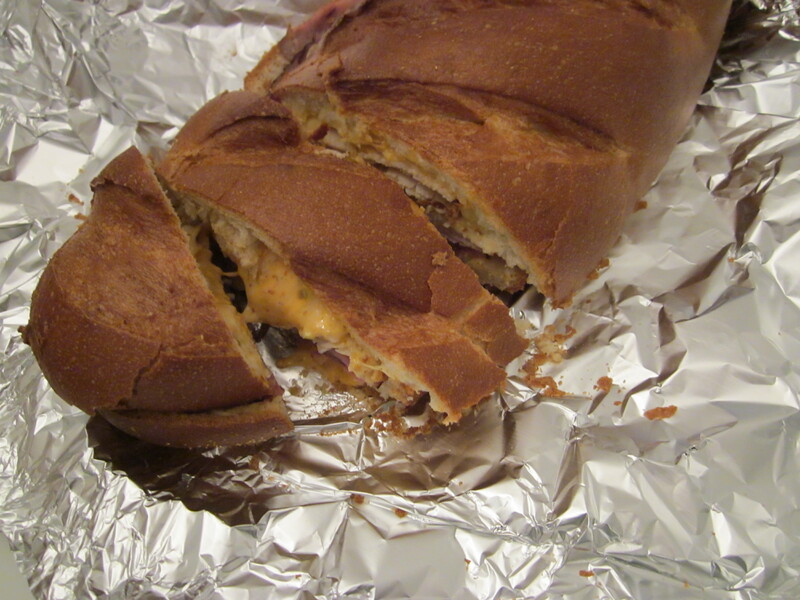 Any time people needed hearty party food, The Big Sandwich was there. I have made The Big Sandwich when we are with friends sharing a house for the weekend and needed “man food” for the group. Last night, I made The Big Sandwich for an adult backyard birthday party. It serves a crowd, covers the melted cheese criteria for yummy party food, and is easy to assemble. It can be messy to eat, so serve with lots of napkins. 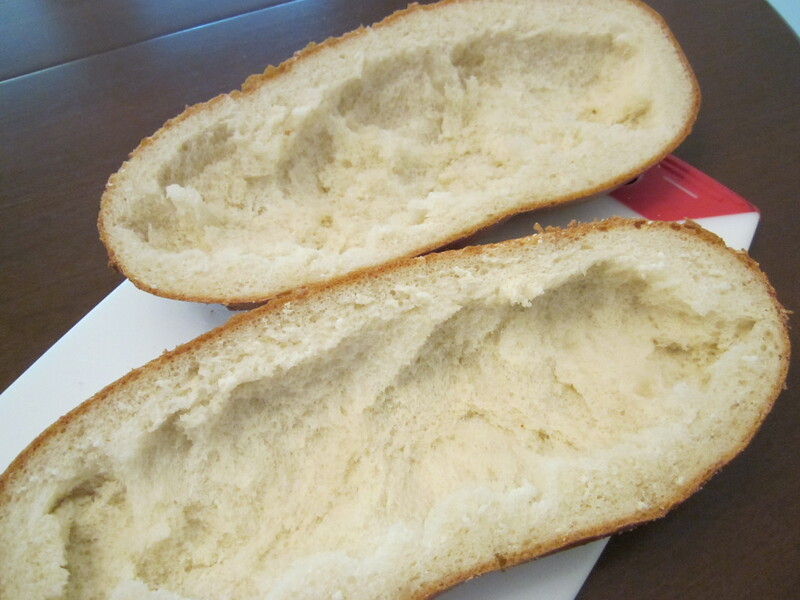 Cut the loaf of Italian bread in half horizontally, so the bread is divided into a top and bottom. Scoop some of the squishy bread center out from both sides, so you have a little extra space for sandwich fillings inside the bread. 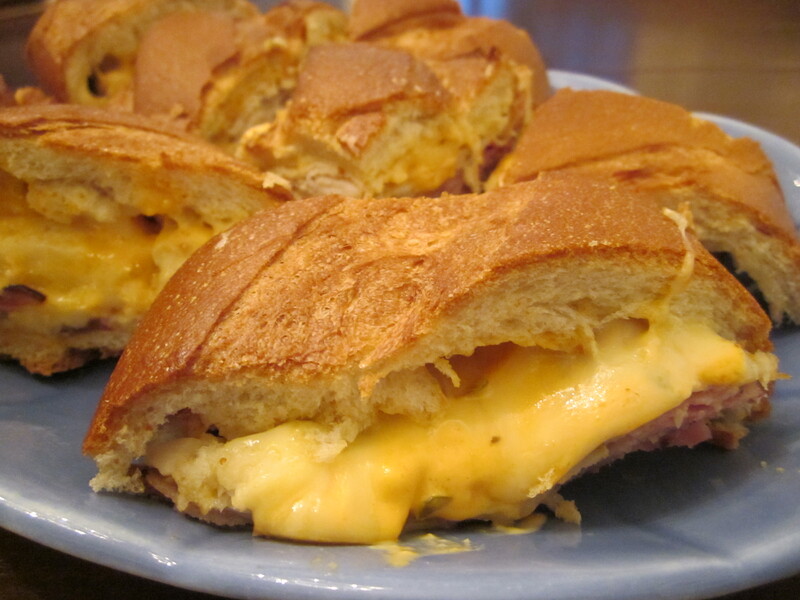 Put a layer of Swiss cheese in the top and bottom pieces of the bread. I use ~4 slices on each side. Spread a layer of Thousand Island dressing on the cheese slices on both sides. 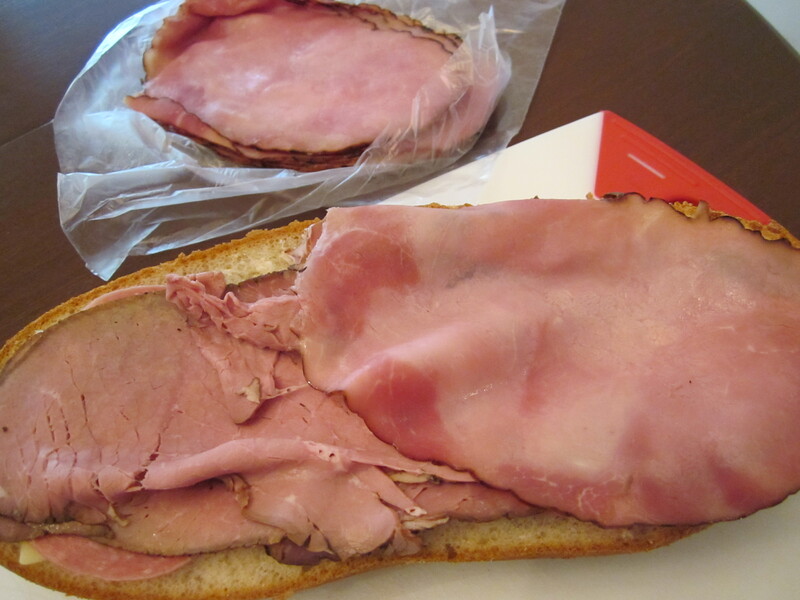 On the bottom piece of bread, layer each type of meat. I like about 4 slices of each kind of meat, but you can use more or less depending on your taste. 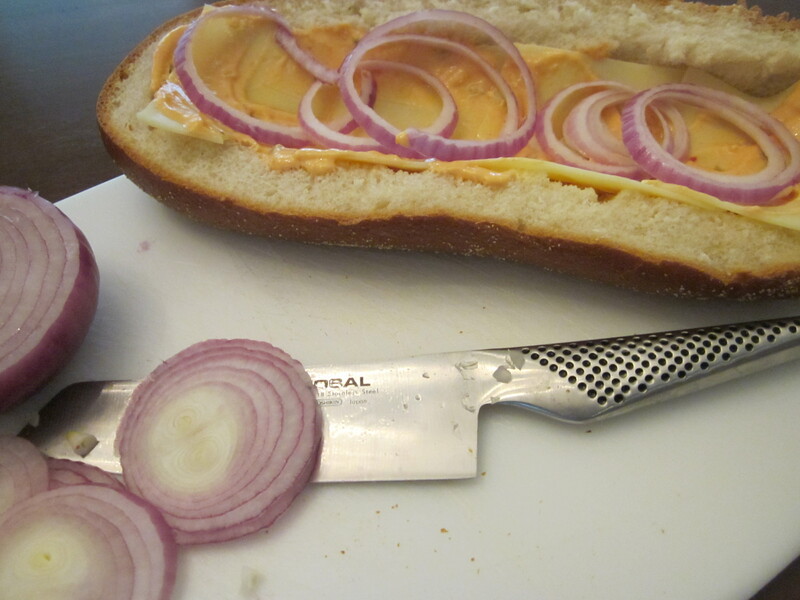 After the last meat slices are added, sprinkle a layer of red onion on the bread “lid”. 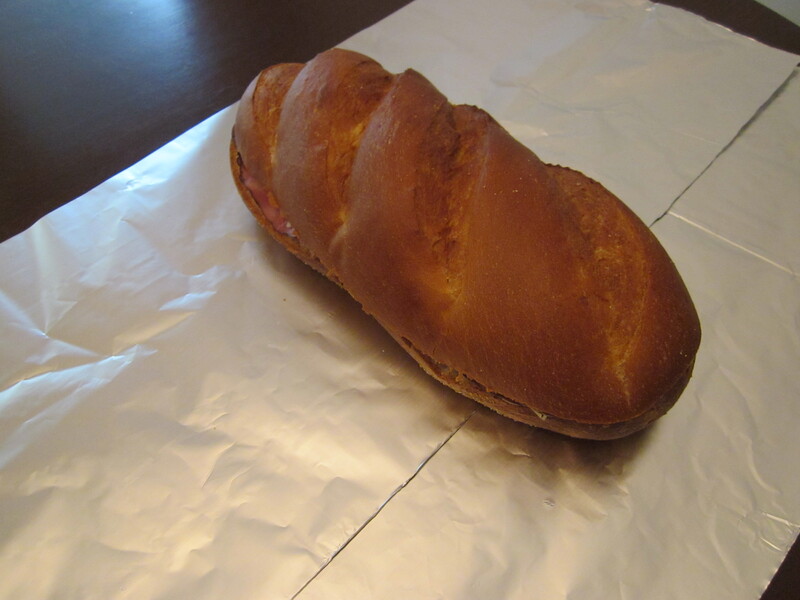 Place the bread “lid” on the top of the sandwich to close and wrap completely in foil. Bake at 350 degrees for ~45 minutes until melty and toasty. Remove from the oven, unwrap from the foil, and slice with a serrated knife into 2-inch wide wedges immediately. 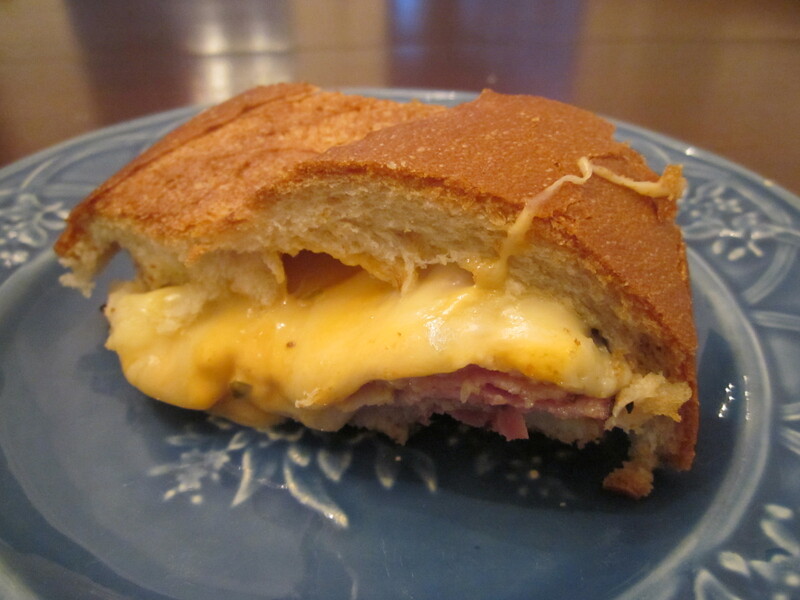 The meat has a tendency to slip off the bread when the cheese is really melty, so you have to cut carefully. I get the meat sliced fresh at my grocery store deli. I ask for “very thinly sliced” and like it to be just a little thicker than shaved. 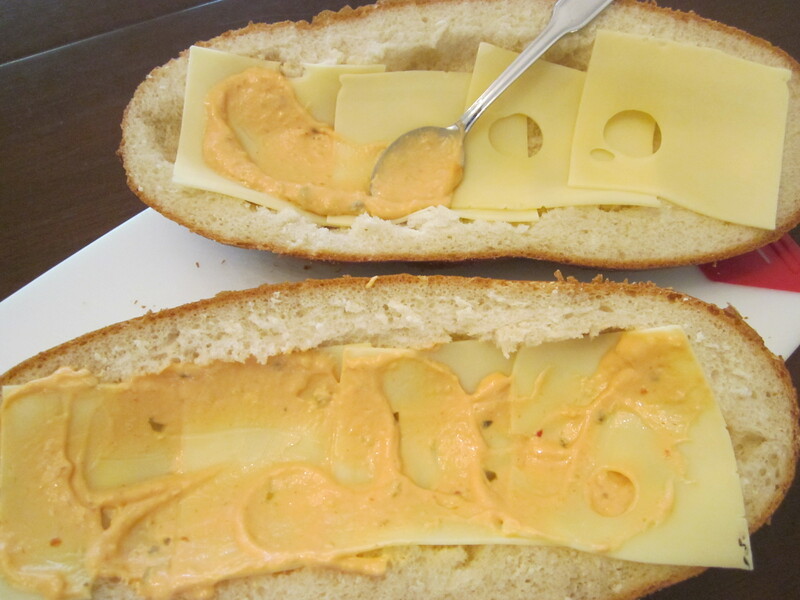 You can spread the Thousand Island dressing on the top and bottom pieces of bread before adding the cheese slices. I like to put the cheese slices down first if I am assembling several hours before baking, so there is a protective layer between the bread and the dressing to keep the dressing from soaking into the bread too much. What situation calls for the Big Sandwich? Hope you have a great Christmas. Miss you! !